With the Holy month of Ramadan around the corner, celebration and piety see an all-time high within the Islamic community. Muslims all over the world fast during the month, fulfilling one of the Five Pillars of Islam aka Sawm. Ramadan is an important month in the Islamic Calendar, not just for the fasting, but also for the simple fact that the Holy Quran was revealed to Prophet Mohammad (pbuh) during this month. The lessons we learn as children, stay with us forever and this is exactly why, most Muslim parents start teaching Islam to their kids young. 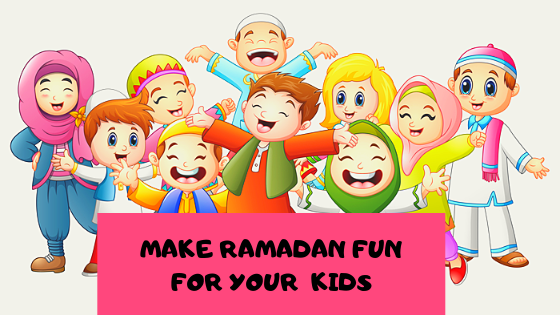 Children are very impressionable and with the commercialisation of Holidays like Christmas and Thanksgiving, Muslim children miss out on the potential excitement the festival of Eid can bring. We aim to make this time of the year special for your young ones, by introducing our specially curated kits and gifts that we GUARANTEE will help make Ramadan a time to look forward to, for everyone in your family! A beautiful shimmery hijab from the Al Amira collection of Hidden Pearls. It’s easy to wear and just perfect for our little Muslimahs. A bag of assorted Halal jellies, we all know how hard those are to come by! Something your little one can look forward to throughout their fast AND learn to share it with their friends at Iftar! A wonderful Book – A Muslim girl’s guide to Life’s big changes – written by Rayhanna Khan. It talks about peer pressure and the struggle Muslim girls face as they grow. 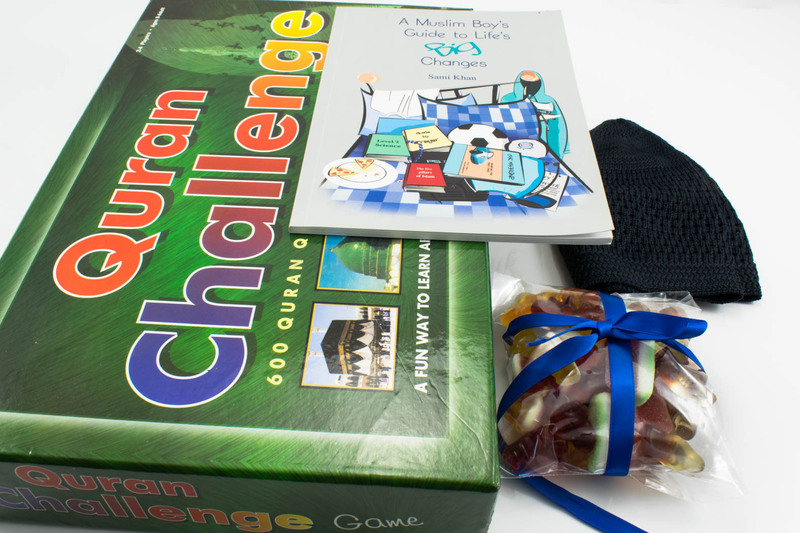 We saved the best for last – An amazing Board Game your entire family is bound to love – The Quran Challenge. Packed with verified facts from the Quran, don’t be fooled into believing that this is a game for the young ones only. You’ll be surprised! A prayer mat that doubles as an Islamic teacher! In addition to being touch sensitive, it also contains pre-recorded keys that will help your little ones learn how and when to pray. It also teaches children how to perform wudhu and being waterproof, makes for a great wudhu companion. 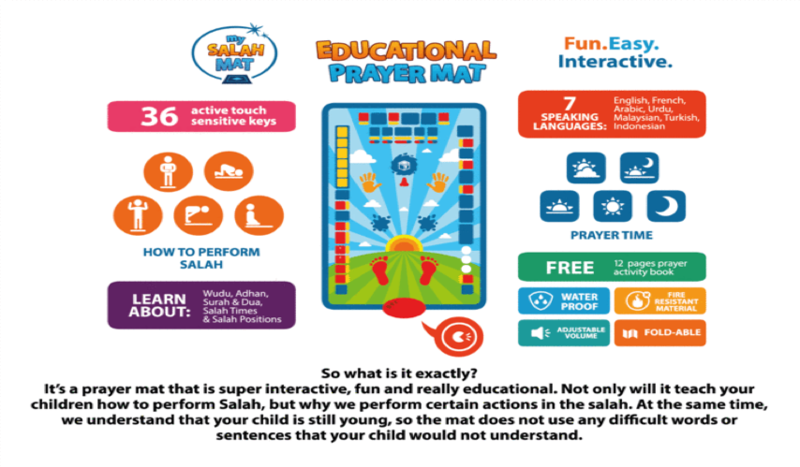 With 7 languages, an instruction book for parents and a salah activity book, the mat also helps your child learn surahs and duas, making this mat the PERFECT Ramadan present! Basic Duas for Children – A book filled with basic Duas all children should know, like Dua before sleep and after, Dua for eating and after. Islamic Values for Children – A lovely book that serves as the perfect guide to Islamic etiquette. Who is Allah – the eternal question every child asks and very few adults can answer. Let this amazing book do a difficult job for you! The Greatest Stories from the Quran – a collection of 30 stories directly from the Quran. A free sized Head cap for your little prince, easy to wear and perfect for Iftar and Salah. Book – A Muslim boy’s guide to Life’s BIG Changes – a book for your little prince to help him through his teens, the Islamic way. 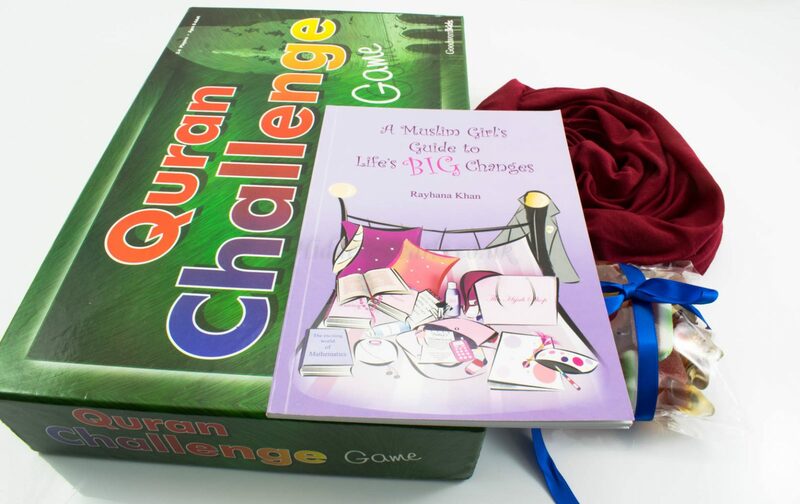 And the AMAZING board game – Quran Challenge! Al Amira Hijab for your Princess. Assorted jellies, Halal so you can’t go wrong. Activity pack on the important virtues that constitute Ramadan with coloring pencils. The Blessings of Ramadan – A guide book that perfectly captures the spirit of Ramadan. 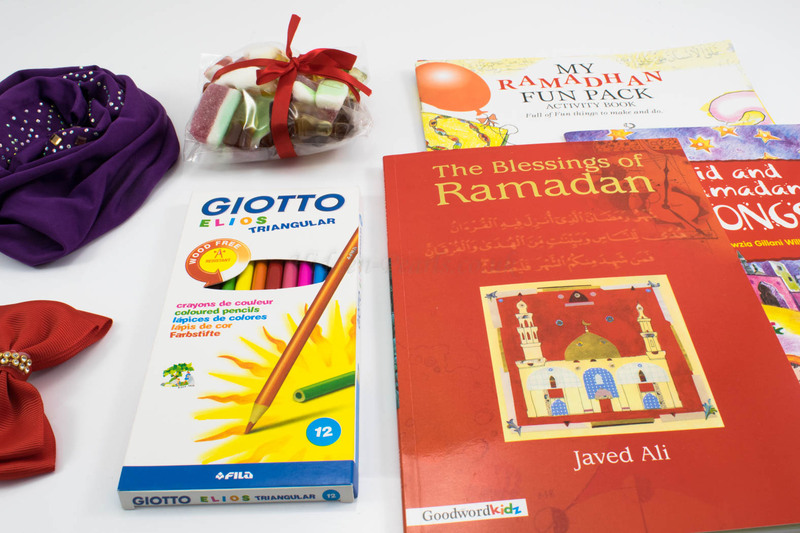 What present will you be giving to your loved little ones this Ramadan? How will you be making your baby’s Eid special then? 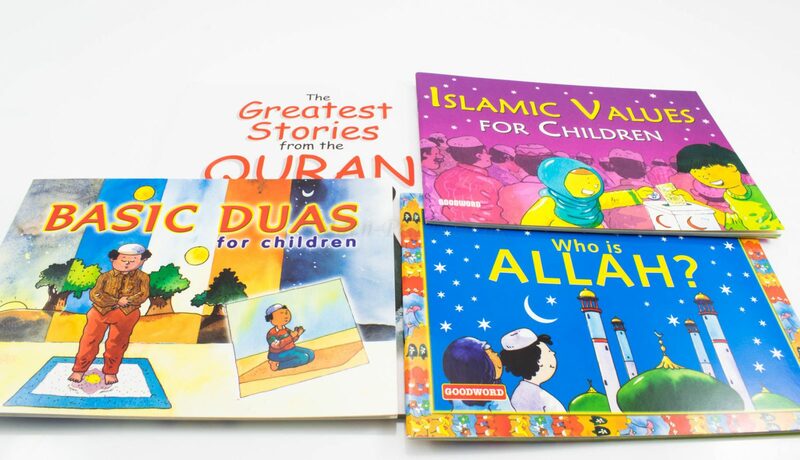 We have tons of other Islamic gifts for children and adults and new ones coming soon so do keep an eye out, In Shah Allah we will update this page soon! This entry was posted in The Hijab Diaries, Uncategorized. Bookmark the permalink.